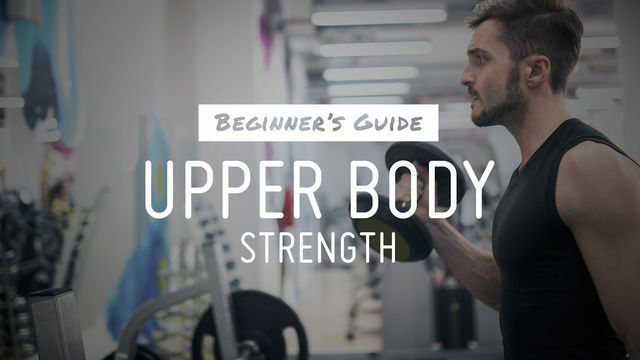 The Beginner's Guide: Upper Body Strength program is designed for you to build a foundation of strength in your arms, shoulders, chest and back. Have you been skipping the dumbbells lately? Are you starting a new fitness routine? Either way, begin here to learn some basic dumbbell exercises that will help you tone your entire upper body, while also building your confidence with the bells. These workouts include bodyweight and dumbbell functional exercises for better strength in and out of the gym, and the low intensity allows you the time to work on your form while being effective and staying safe. Attack your new workout program and get ready to feel fit, strong and toned. This program requires access to dumbbells, a chair and some wall space, which makes it an ideal program to do at home or in the gym!